Oh my gosh, there's a panda in your room...if you click the link above. 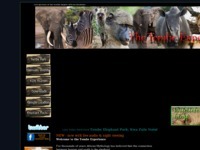 One of the few cams online that gives a live view of Rhinos, if they are inside their enclosure. But who can blaim them if they want to wander outside on a pretty day. If they aren't there when you check, try back later. Sooner or later you are bound to get a good view. 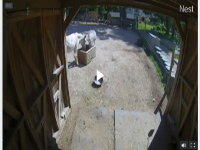 If you don't live near a donkey, and you are longing for a view of this mysterious creature, check out the Earthcam Donkey Cam. WOW! Live views of Shamu from one of two different webcams, including an underwater webcam with streaming video. 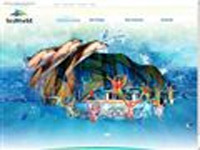 Until you can visit in person, enjoy watching Shamu here. If you like cute little puppies, check out Little Beasts. Webcams of Alaska Pacific Loon chicks. "The Polar Cam broadcasts live daily from 9 a.m. to 4 p.m. Watch our polar bear cubs, Kalluk and Tatqiq, and our female adults, Chinook and Shikari, take their turns in their enclosure. Watch their playful antics as they splash in the pool and romp around their arctic habitat." 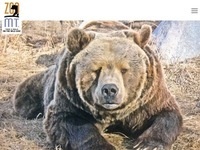 Live cam views of a Grizzly Bear den and habitat. View Appaloosa horses live from Saddlebrook Appaloosas in the heart of the Midwest. 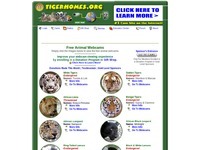 "TigerHomes.Org - Privately owned animal sanctuary & habitat with 37 live webcams. Large site with a variety of animals, including: White Tigers, Siberian Tigers, Siberian Golden Tigers, Lions and Lemurs in spacious naturalistic habitats. 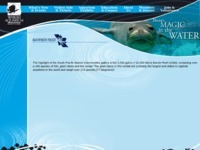 This site is dedicated to Global Conservation for these Endangered Species with Educational Information & Curriculums. Viewers invited to take FREE snapshots!!" Gatorland has over 700 Alligators and if you're lucky, you can see some of them sunning themselves just outside the entrance of the park. Scheduled feeding of barracudas, tarpon, snappers, groupers and other fish found in the Florida Keys. Fed directly in front of the web cam. See live images of Alpacas direct from Stargazer Ranch in Colorado. Providing temporary homes and adoption opportunities for abandoned, abused or otherwise homeless ferrets. One of the fun areas within Georgia's huge aquarium is the shark cam. If you like your sharks far away from you, then clicking through to check out this webcam is the best way to get up close and personal...without actually being up close and personal. WOW! Live views of Penguins from one of two different Seaworld webcams. If you need your penguin fix RIGHT NOW, and you can't make it to Seaworld soon enough, just click through and check out the close up view of this fun group of penguins. Looking for bats? Check out the Fly by Night bat cam aimed at a 'bat house' where the bats can be seen coming and going most of the night (typically just before sunset and sunrise). It is amazing to see how similar apes are to humans. Click through to watch how they entertain themselves within the San Diego Zoo. See Madagascar Hissing Cockroaches at one of the more popular cams online. 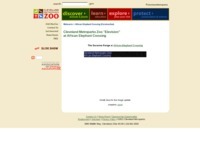 This site has been running since 1995. Hit refresh to see them moving about. Enjoy the African Elephant 'crossing' at the Cleveland Zoo, where wild Elephants and humans cross through the same area...although not at the same time. Periodically, the 'crossing' is closed to visitors, to allow the elephants to move throughout the enclosure. "Solar powered webcams provide live pictures of the biggest elephants in the world." Elephants need a lot of room to move around, and the San Diego Safari area gives them just that. Click through to see the large area where the Elephants are free to wander, and hopefully you will catch a view of a few of them. The Osprey cam faces a large nest with a clear view of the mother Osprey. The Falcon cam looks out over a ledge on the 41st floor of an office building in downtown Columbus. Falcons have made this area their home since 1993. Cam visitors are encouraged to watch for falcons, and to help capture images of falcons and their legbands, for identification purposes. Ok, there isn't going to be much activity here, but if you like seeing slow moving birds that like to stand on one leg, then you have come to the right place. Great view of some pretty big grizzly bears and the rocky watery ledge where they like to relax. "The oldest and perhaps largest collection of living corals in the United States." Enjoy this underwater view of manatees. Enjoy a number of webcam views including a Wolf Den Cam, a Rock Den Cam and more. Critter Camp Cam - "Best Little Critter Camp in Texas"
Dogs, Cats and other Critters. 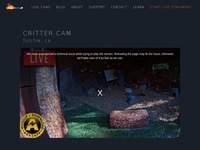 View their daily activities at Critter Camp. Don't get too close to your computer screen, the fish are hungry. 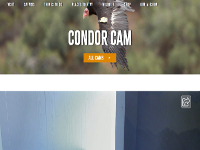 Condors are not pretty (unless you are another Condor, or unless you are a birdwatcher with a thing for Condors). If you want to see just how 'not pretty' they are, click through to the San Diego Zoo 'Condorminium' recovery and breeding area. 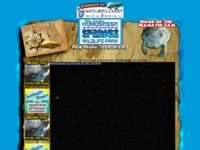 If you like Sea Turtles, this cam allows you to view a sea turtle enclosure area live. Check out the 'Doggie Cams' from Tuesday through Saturday 8am - 5pm Pacific Time, and watch the students groom the dogs. "The Rancho Costal Humane Society is a no-kill animal shelter located in Encinitas, California. After finding the perfect match, potential adopters learn about health care, nutrition requirements, grooming, exercise, responsible pet ownership, socialization and the importance of the human/animal bond. The Rancho Coastal Humane Society Live Puppy Cam allows you a birds eye view of some of the cutest and cuddliest companion animals we have available for adoption." See cute Pandas live from the San Diego Zoo. See 15 second live updates of two beautiful Blue & Gold Macaw Parrots. Incredible view of a large number of penguins, live from Central Park Zoo, with feedings twice daily. Check out the Gibbon Cam live from the Minnesota Zoo. Peacock Cam - Peacock, Peafowl, Cats, Dogs & More! See a variety of fish, including: Dog-Faced Puffers, Clown Triggers, Percula Clownfish, Three-Striped Damsel and more. Pacific octopus are the stars of this exhibit at the Smithsonian. So ugly, only a naked mole-rat mother could love them! "This endangered marine mammal is found only in Hawaii." Large site with a variety of animals, including: Ring Tail Lemurs, Siberian Tigers, Siberian White Tigers, Siberian Golden Tigers & Lions. See a large variety of near shore species, including Salmon, Rockfish, Flounder, Wolf-Eel, and Perch. Up close and personal, this webcam is located within a bird box, so when they are nesting, you can't miss a thing. Live view of the bay, often with seals and a variety of birds resting on the rocks. Live 'in the cage' webcam views of a number of gerbils. Live view of rats in the OMSI Life Science Lab. Close up view of the inside of a hamster cage, with multiple cam options available. Live webcam in Costa Rica with a view of a hummingbird (Colibries) feeder. Live clear water view of a variety of Amazon River fish. Two views of a large Iguana. Another view here. Live images of a jellyfish exhibit. Live view from the suburbs of North Pole, Alaska. Controllable webcam, although you'll need to understand Japanese to read the instructions. Bass Cam - "The BassCam"
Live view of a 30 gallon aquarium with a largemouth bass. Watch Llamas up close through one of two web cameras. 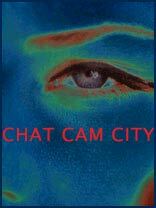 Don't forget to bookmark Chat Cam City. Chat and webcam sites are added as fast as we can find them.